This AMAZING Stamp Set it UP FOR GRABS... Enter in with every order you place - either through me or my website and ONE Order Entry WILL BE PULLED at the End of the Month!! 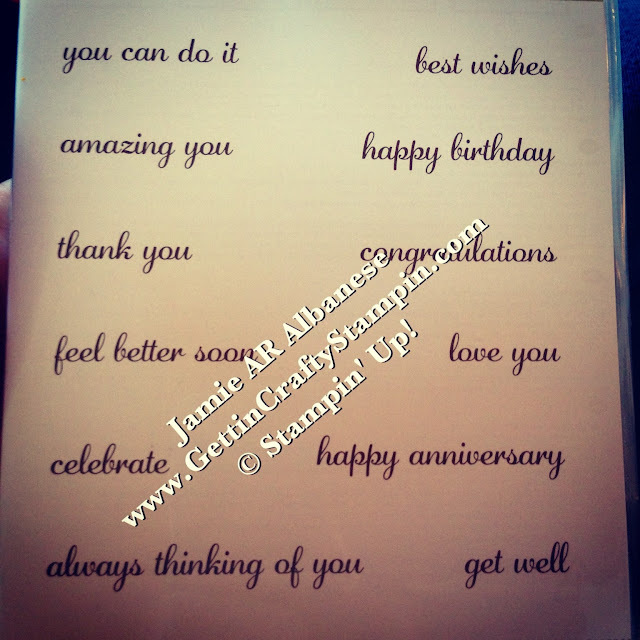 CLICK HERE to See our New Stampin' Up! Catalog. CLICK HERE to See Our Specials (those count, too!!). Time is LIMITED... what will YOU Pick?!?! !